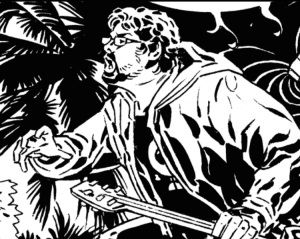 A few years ago an unlikely hero entered the rock music scene. Like some sort of Rock ‘El Mariachi’ Matt Stevens rode into town armed only with a guitar, a few effects pedals and most importantly a prodigious talent and imagination. ‘Have guitar, will travel’ was his trademark, travelling right across the country willing to play any club, pub and venue, supporting any and everyone. 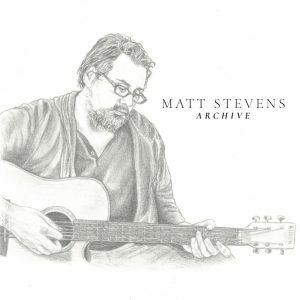 Unbounded by any labels and by any notions of conforming to musical norms Matt Stevens’ music crossed many boundaries, but did not seem to fit any – just the way he liked it. Roaming the musical hinterlands he was free to take his own path. 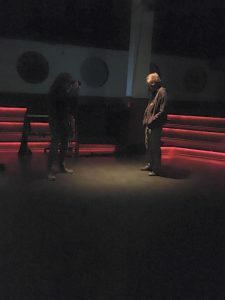 Occassionally, venue’s saloon doors would swing open and in would step the silhouette of a musical man mountain maestro with a guitar slung around his neck, here to take on all challengers with fast fingers, exciting music and engaging charm. Venue after venue and crowd after crowd succumbed to his talent, won over by his talent, enthusiasm and his unquenchable thirst just to perform. Well now, Matt ‘Mariachi’ Stevens is stepping back from his solo guitar days, having formed his own posse called ‘The Fierce and the Dead’ within which to express his impressive musical skills and imagination. ‘The Fierce and the Dead’ have been burning their own distinctive and unconventional path through modern music, turning up at contrasting music festivals such as ‘Summers End’ and ‘Arc Tangent’ and uncompromisingly blasting and riffing their way through the crowds, a few scattering to the bar but burning in to the hearts of many other unsuspecting punters. 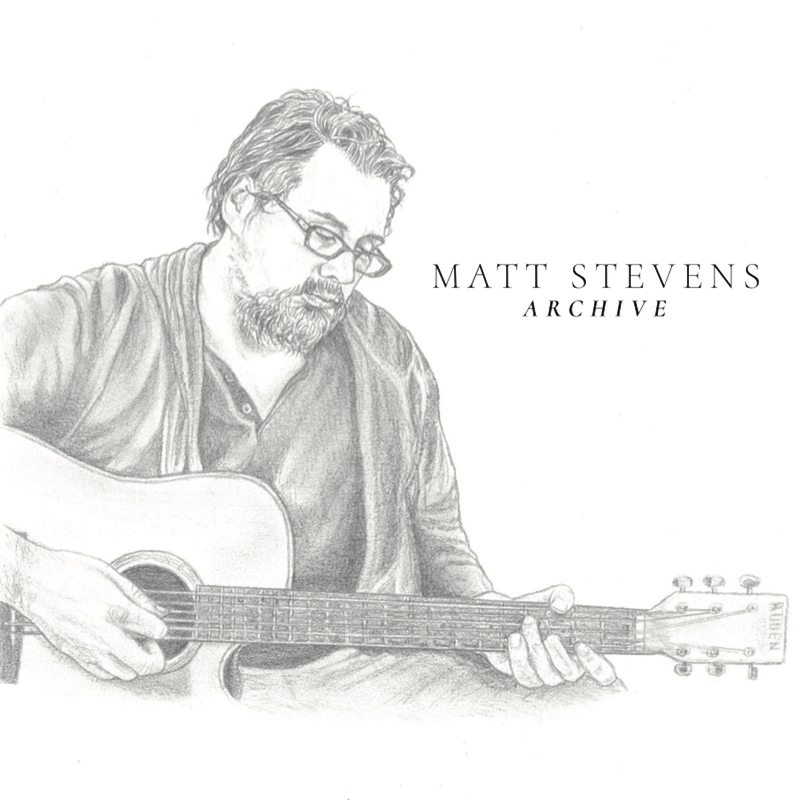 This set is NOT a retrospective drawn from Matt Stevens’ already released albums, ‘Echo’, ‘Ghost’ and ‘Relic’… that would have been too easy for this artist, who wanted to share a document of his live solo recordings. 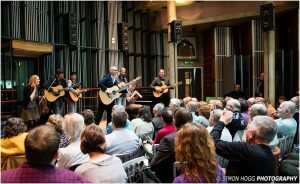 It is comprised of a live guitar and loop set recorded in a church for the Farncombe Music Club in 2014. (What a different experience in church that must have been!) Alongside those pieces Matt has included two ambient pieces (Intermission 1 & Intermission 2) and two ‘lost songs’. The marvellously named ‘Pecadillo’ was produced for a compilation released on the Believers Roast label of Kavius Torabi (Knifeworld) in 2012. ‘Blue Filter’ is an out-take from the recordings of Matt’s 2010 album, ‘Ghost’. What can someone unfamiliar expect from this album? Well, one can expect to hear a bewildering array of sounds and textures somehow conjured up from just a guitar and some looper technology. What may be harder to imagine is the kaleidoscope of sounds and feels that splash sonically out of his guitar, cascades of riffs and melodies interweaving and echoing in a captivating tapestry of noise. This reviewer is not usually taken with purely instrumental albums – it’s just usually not my cup of tea (or glass of tequila). However, Matt Stevens is not your usual purely instrumental artist and I am glad I imbibed in this intriguing offering. Opening track ‘Rusty’ (where does he get these names from?) immediately hits you with a torrent of riffs and echoes with intricate playing and sounds it does not seem possible to extract from just a guitar. As a manifesto for the album it certainly lets you know this is no ordinary musical ride. In contrast, later track ‘ A Boy’ is a much gentler acoustic glide which beguiles and shows that there is a range of musical colours described here. Amongst other highlights ‘Big Sky’ takes you right out there on the ‘Looper Plains’ as coruscating clouds of echoing lines scud across the musical firmament, before being gently brought down to earth and then once again in a psychedelic coda launched in to a reverb filled sky – at least that’s what I imagined… and all done by one guy and his guitar live! Reviews are peculiar things – one never knows quite in what direction it will go. Before I even started on this review, knowing a little about Matt and his music, I decided to use the ‘El Mariachi’ theme as it conveyed his singular and somewhat heroic musical path, and captured the idea of ‘a loner with his guitar’. What I had not expected to find was a song on the album that perfectly captures that imagery – the aforementioned ‘Blue Filter’ is pure spaghetti western, even with effects sounding uncannily like a horse trotting. It is a perfect way to effectively finish the album as our Mariachi guitar maestro decides to hang up his solo guitar for the time being and strides off to continue exploring other musical horizons (and upsetting a few along the way!) with his posse. Maybe one day he will return to a venue or saloon near you with his guitar slung around his neck but for now listen to this and imagine his legendary live solo days. Released 22nd July 2016 by Bad Elephant Music. Bob Dylan had The Band, Fish (he of many great albums with and without Marillion) has TILT. Like The Band, they have broken free from the cover of the piscatory one and now have their own well formed sense of identity. TILT are Robin Boult, David Stewart, Steve Vantsis, the core of Fish’s touring band right now, with Paul Humphreys on guitars and PJ Dourley on vocals, featuring guest appearances from It Bites’ John Beck and John Mitchell (of band and Projects too many to mention) to back this solid product. Mitchell also mixed the album. Vantsis and Dourley are the main songwriters here, with Humphreys credited on two tracks. One thing is certain, this is NOT a Fish album minus a piscatorial element (no more Fish puns I promise). 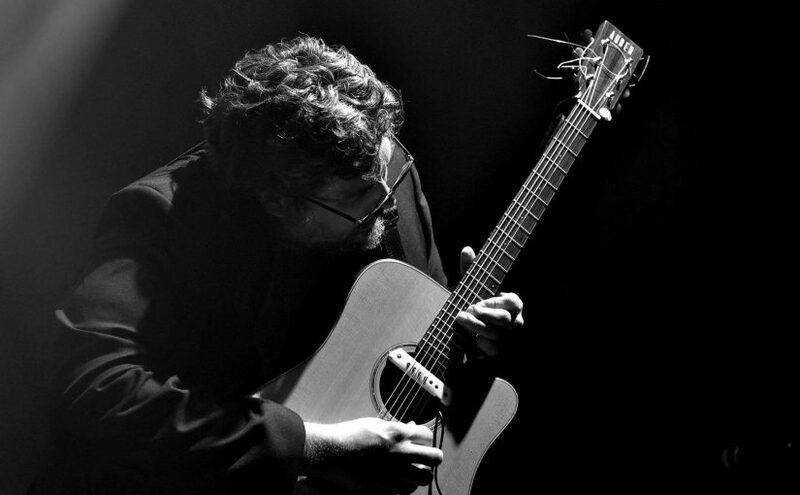 P J Dourley’s voice is a dream throughout the album, at times it is sullen and yet can soar, expressing the lyrics and meaning of the songs to use his voice as an additional musical instrument as well as a singer. On ‘Growing Colder’ he shares the music with just the voice and a piano without loss of emotional content and delivery. the social and emotional isolation of the song is reflected in his voice extremely well indeed. ‘Bloodline’, the current single, has an astounding guitar solo in it from John Mitchell that feels like a vampire suffering depression and with rage issues in a good way. It’s a straight ahead rocker and one I intend using next Hallowe’en but far more subtle and textured than any regular rock track. 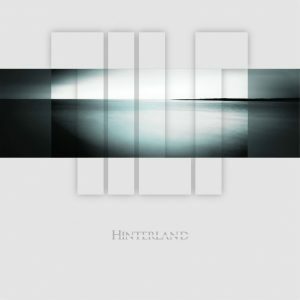 ‘Hinterland’, the title track of the album, is a thorough, out and out, stab at prog metal with a great degree of success. It’s accessible and has all the elements you would expect without sounding contrived. Although not a declared concept album by the band it appears to be an album of loss, grief and cynicism of the human condition. 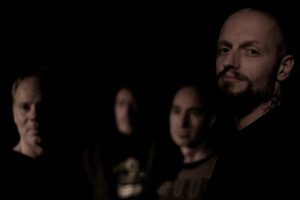 ‘_Assembly’ and ‘Disassembly_’ bookend the album and they seem to be a treatise on the futility of war, a rage against the seekers of power through religion. It shows how prog this album is by relying on keyboards and soundscapes to illustrate the setting and the tone. Musically this is very tight indeed and I imagine it would transfer to the live stage very well. 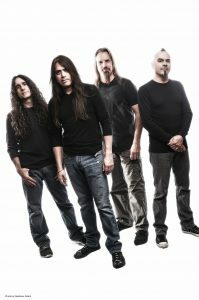 The album overall is very accessible and good on the ear but there is nothing of the traditional “Pastoral Prog” to this album but if you like your music in the Dream Theater, Anubis style, or Spocks Beard, Transatlantic in their heavier moments, then you have a new item for your shopping list. 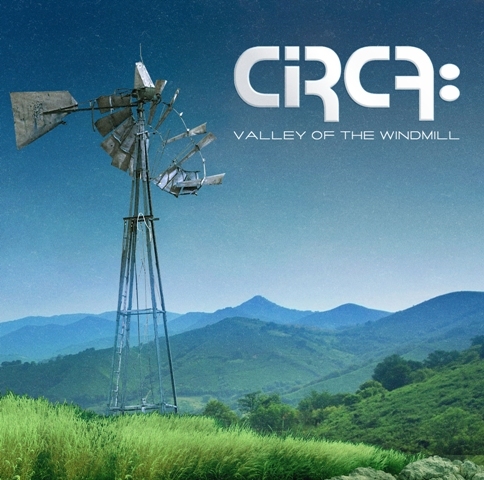 If you want Prog for a brave new world then this is for you and, in a year of standout albums, so far this is one that I believe will stand the test of repeats. It will be in my top 10 of 2016 and its only June. In many art forms maturity is a beneficial element to achieve; inspiration tempered by experience, knowledge and the passage of time. In rock music it’s often viewed as a detriment and this is even more pronounced in heavy metal circles. 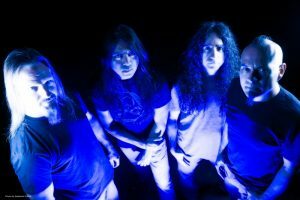 Look up comments on any heavy metal band that has been out for 25 years or longer and you’re invariably going to find a contingent of very vocal fans screaming for the past to return. In many cases it is a valid response. Many bands lose the initial spark that attracted their audiences in the first place. Most commonly they fall into one of several traps; retreading their steps, chasing trends they are ill-suited for, watering themselves down till they are unrecognizable, or possibly they just lose their inspiration and spend the twilight years of their careers on auto-pilot. 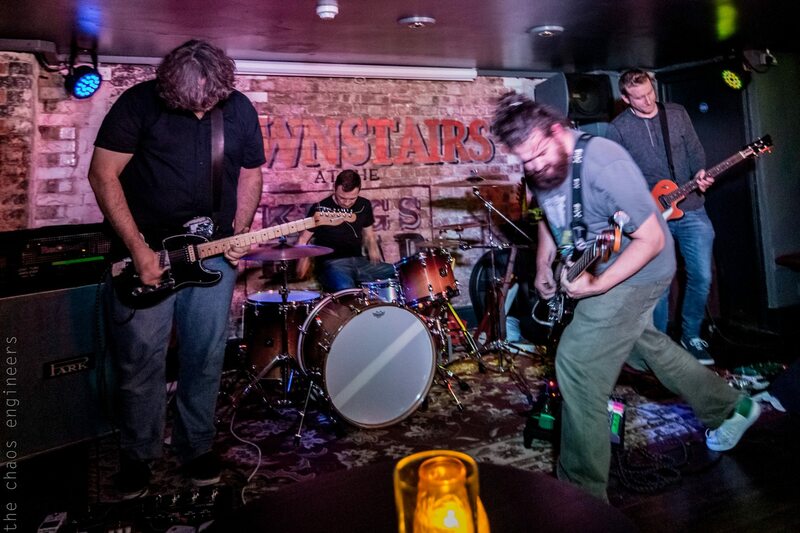 This is not always the case however, there are rare exceptions, bands that use maturity in their favor and continue to develop, refine and enhance their sound. 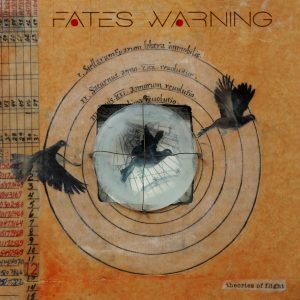 Happily, Fates Warning is one of them. 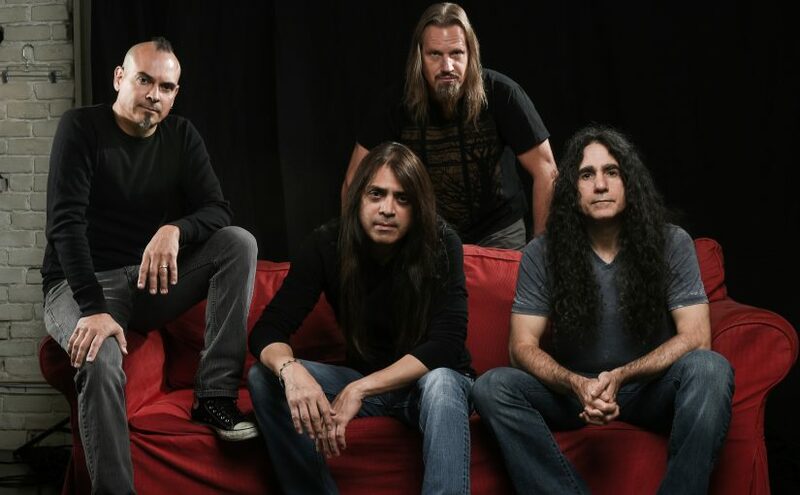 ‘Theories of Flight’ is the 12th album in Fates Warning’s 32-year professional career and they’ve come a long way from their original NWOBHM-inspired roots. Guitarist Jim Matheos has been the primary writer since their inception and has directed them through a variety of stylistic and lineup changes over the years. 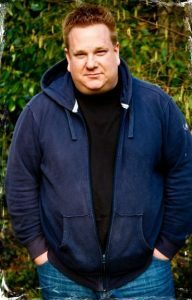 Vocalist Ray Alder joined in 1988 for the transitional album ‘No Exit’, the bridge between the more metallic earlier albums and the more melodic, progressive direction they would follow afterward. The top-notch rhythm section consists of bassist Joey Vera (Armored Saint), who has worked with the band since 1997 and journeyman drummer Bobby Jarzombek (Halford, Riot, Iced Earth). Long-time second guitarist Frank Aresti also makes a guest appearance providing inspired solos on the songs From The Rooftops and White Flag. Together they’ve crafted one of the most impressive albums of their career, which is something I rarely find myself saying about bands that have been around for several decades. 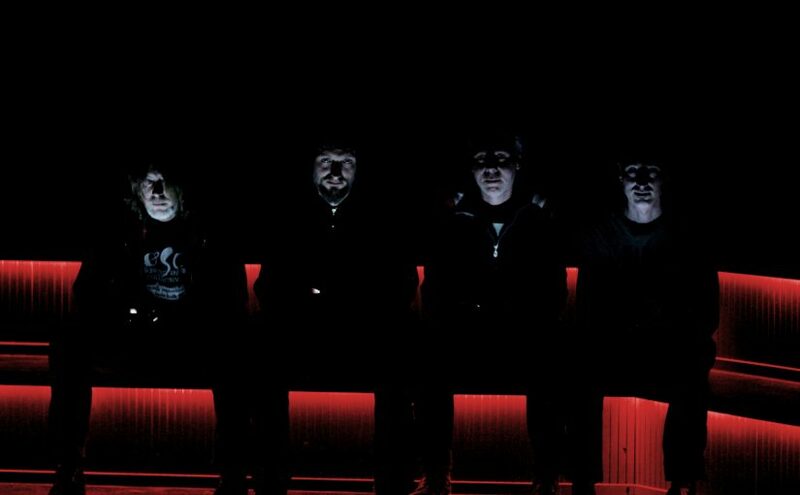 After their inspired return with 2013’s ‘Darkness In A Different Light’ (which followed a 9-year hiatus from recording), the expectations were high and they’ve surpassed them. ‘Theories of Flight’ is one of the most deftly balanced mainstream Prog Metal albums I’ve heard in many a moon. The songs are impressively technical arrangements without ever devolving into fireworks displays of dexterity. They have the prerequisite metallic crunch but it doesn’t overpower the melodic drive at the core or fall back on overused clichés. And the songwriting is passionate without ever becoming maudlin. This is a deceptively difficult achievement, as evidenced by the many examples I hear on a yearly basis of bands not getting it right. Again, maturity comes to the fore. ‘Theories of Flight’ goes down smoothly. The pacing and flow are perfectly sequenced to give that “album” experience, one where the sum total is greater than the individual elements. It’s a fine collection of songs and even though it’s not technically a concept album there are some unifying themes that reoccur throughout. It’s also one of their best-sounding albums from a production standpoint; Jens Bogren (Haken, Opeth) did the excellent, finely detailed mix, which really envelops the listener and enhances the dynamic power of the arrangements. 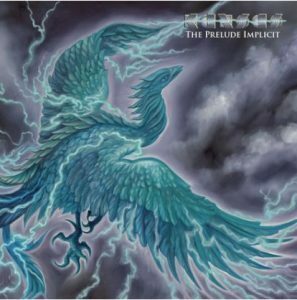 I believe it’s the type of album that could easily appeal to listeners outside the usual progressive metal circles, it’s accessibility and focus on melody should entice the fans of groups like Mystery or Porcupine Tree. Their older fans should be pleased as well because they don’t skimp on the heavier elements. Tracks like the aggressive opener From The Rooftops, Like Stars Our Eyes Have Seen and the driving, anthemic White Flag display an intensity rarely seen since their 80s era. The song Seven Stars also harkens back to the mid-period Parallels era. I also have to tip my hat to vocalist Ray Alder at this point. His performance is the glue that binds this entire album together. 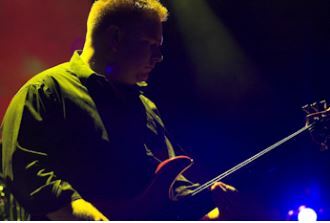 When he first joined the band back in the 80s he had a tendency to push into the higher registers quite frequently (it goes with the metal territory) but over the years he’s mellowed his approach and now uses his considerable skill much more effectively. He is most impressively featured on the two epic tracks that are the real emotional center of the album; The Light And Shade of Things and the evocative The Ghosts of Home. Fates Warning has been playing progressive metal since before the term existed. They have remained true to themselves and their fans throughout all the trends and upheaval in the music industry for the past 30 years. They have earned our respect. They have also continued to evolve and I believe are deserving of an even wider audience, they’ve delivered an excellent work in ‘Theories of Flight’, now all you have to do is listen. Before I get round to reviewing ‘Folklore’, here is my first interview with David Longdon, recorded on 6th March 2016. Martin – Good morning David, I appreciate you taking the time to talk to me. David – That’s fine Martin..
M – This actually came out of the blue, a friend of mine called Kevin Thompson, another one who has been into Big Big Train for a long time, had bought two copies of ‘Wild River’ by mistake (which I’m sure you won’t mind!) He advertised it on facebook and said “does anybody want it”. I’d had it in my mind about getting your solo album for quite a while, so I thought, if it’s there, I’ll definitely have it. I put it on and listened to it for the first time and I was really impressed with it. 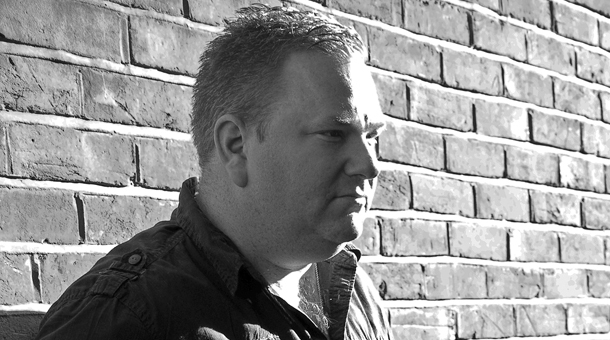 It reminded me of Lee Maddison, a north-east musician and I see it almost modern folk music? D – That’s exactly what it is. It was musically aimed at the acoustic roots scene because I was searching for a genre that would allow me to make the music that I could hear in my imagination. I’d always liked acoustic music and experimental music so, ‘Wild River’ encompassed a little bit of both of those, there’s also some elements of prog in there too. 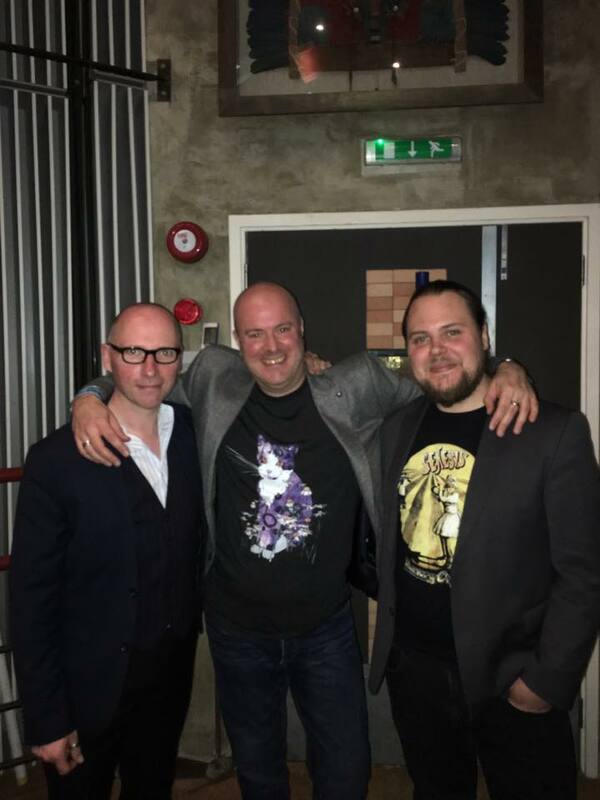 Over the years, I’d been writing and recording with bands, working alongside a music publisher, band management, record companies and A&R people. I’d also gone through the Genesis saga too so, when it came to making ‘Wild River’, I wanted to make an album that I would like to hear. I was writing songs and getting into the whole recording process just to s see where it took me. I didn’t force a note which was possibly why Wild River took about seven years to make. M – The title track, to me, I think it encompasses everything that you’ve just said. It’s got a bit of Prog, a bit of rock in it and it’s also got some of that modern folk in there as well, it’s just a really good song. You said it took seven years to make? You were obviously doing that among all the other bits and pieces then? D – That was right, I’d gone though a divorce during that period and then I’d eventually rebuilt my life, met someone else and then became a parent. It’s interesting because all the people who are playing on ‘Wild River’ are old friends and people I knew from a specific point in my life. It’s a time capsule. It was also the time of moving from the 20th Century into the 21st, so the ‘Millennium blues’ were happening at that time too. M- Were the songs written of actual experiences of yourself? D – I was writing music and using different ways of writing. Some of the songs were based on events that had happened in my life. Falling Down was based on a conversation that I had with my father one day. Loving and Giving was autobiographical. Vertigo is about the disorientation that comes when a close relationship is coming to an end and it draws from several episodes that had happened to me. The song About Time was a stream of consciousness lyric – the lesson there was to leave the lyric rather than edit it into something more controlled. I have no idea who Turpentine is – but one day I’ll write a song about her. So the album is a mixture of influences and different subject matter. I had spent lots of time in recording studios over the years but I’d always worked with an engineer. On ‘Wild River’ I was the engineer and I learnt how to do it as I went along. I recorded Wild River on a Roland VS8-80. It enabled me to be able to record audio at home for the first time and I found it hugely liberating. For the first time, it wasn’t costing me money to record and I could record when i had the opportunity to be able to do so. I recorded the music on the VS8-80 and a friend of mine called Michael Brown digitally transferred it into E Magic/Logic. D – It takes time and experience to learn the craft. There are lots of errors on the album. On Joely, and I was recording Beth Noble the violinist and we were layering her violin and viola parts to make it sound like a string section. My inexperience as a sound engineer meant that I bounced some of the violin parts with the reverb, which means that the reverb is now entirely committed to the track. I can’t take it off. But it was a learning process. There are many things like that, which you learn by doing them. I wanted the album to take the listener on a journey. I recorded the material and arranged the album to flow from track to track. The album revealed itself over time. M- Touching on the ‘no-no’ subject of ‘Bard’ in the BBT forum and the re-mastering of that album, would you go back and redo ‘Wild River’ or, are you happy with it as it is? D- That’s interesting because we have spoken about, possibly, reissuing it as a Big Big Train back pages thing, both ‘Bard’ and ‘Wild River’. With ‘Wild River’, its initial pressing is now gone, that’s it, the original run has sold out. 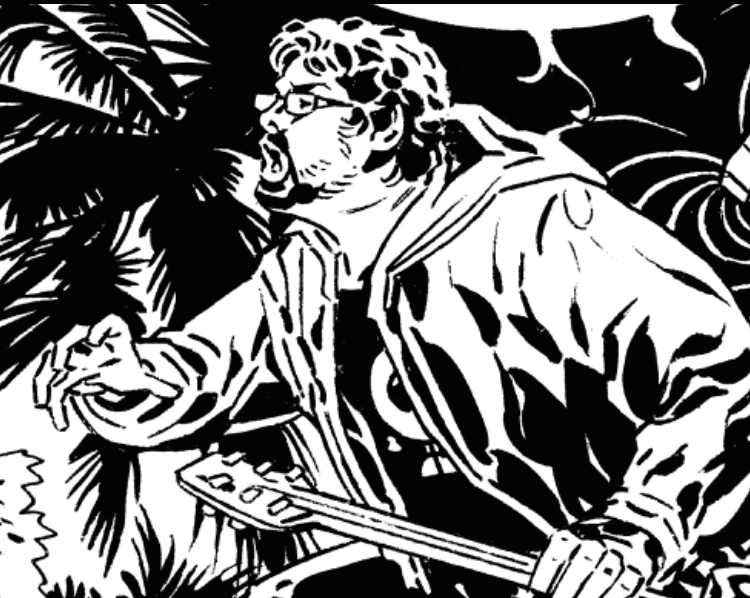 The temptation is to go – ‘I want to rerecord everything’ but I don’t want to do that with Wild River. 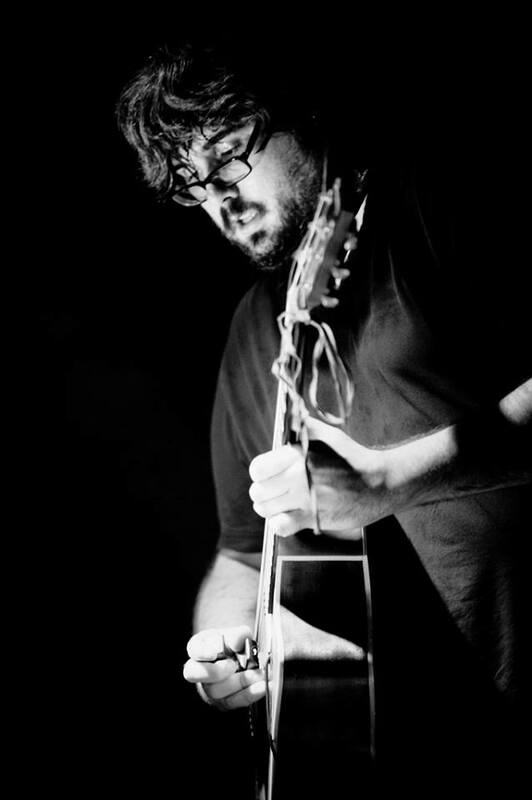 I have some good live recordings and demos taken from that time which may be of interest. I may record some acoustic versions as additional tracks to accompany the re-issue. But Wild River is what it is and I am happy to leave it at that. We (BBT)are going to revisit at least one track from ‘Bard’ on ‘Station Masters’. Before I met Big Big Train, I sent a copy of Wild River to Greg (Spawton) and Andy (Poole), they listened to and liked it because it showcased the acoustic side to what I do. They also liked my songwriting. 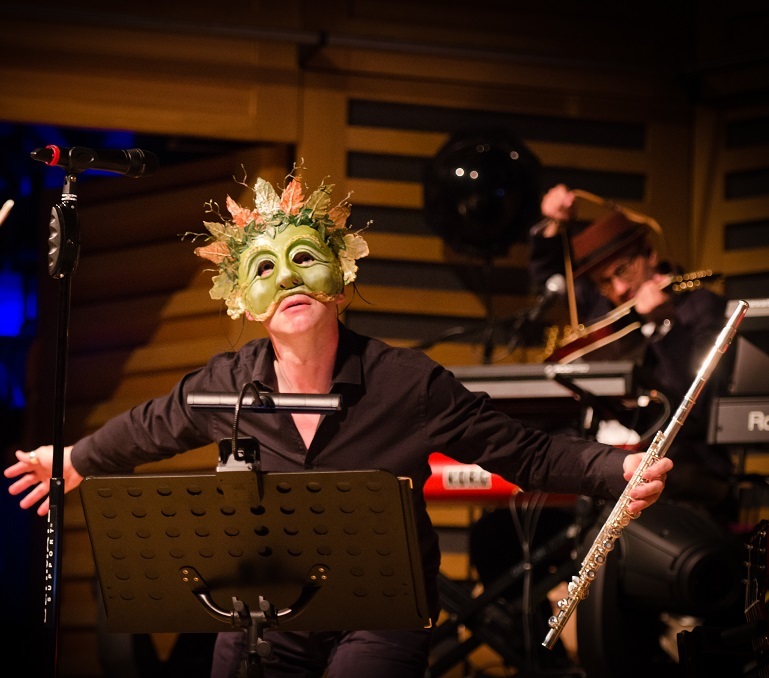 We did think, at one point, of re-recording the title track with Big Big Train. That’s another option. D- I nailed my colours to the mast with that track! It is about the death of my father. My Dad died of leukaemia and I have felt very bitter about it over the years. I feel that he was taken too soon. He missed too much. The chorus line, “Life is a wild river, not a long, calm stream..” acknowledges that there are circumstances in life that will rip you up. My emotions are very raw on this track. As I have become older, I think it is how we come through these challenges that life throws at us, that makes us who we are. D- That was just an idea and may or may not happen. M –You’ve probably got enough stuff to keep you going for the next decade without thinking about anything else! D – Yes, we’ve got some interesting stuff coming up. We are looking at least four recording projects deep into the future now. That’s a good amount of work. It’s a steady process. M – So, getting onto ‘Folklore’ and ‘Wassail’, was it a conscious decision to go down that, shall we say,’folk inspired’ route. Everyone calls you ‘Pastoral Progressive Rock’ so, would you say it is a bit of a move away from that, to a certain extent? Or was it just the way the songwriting took you? D- I am fascinated with the themes within folk music, not so much folk music itself. I like the ideas and structures. 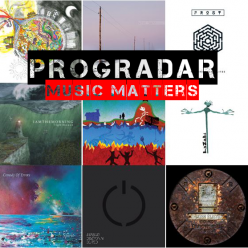 If you listen to folk music, it has all manner of odd time signatures within it, much like progressive rock does. It had been a while since BBT had released a studio album because we had been focussing on Stone and Steel and also the live shows which were both expensive project and also time consuming. I had started writing Wassail which I played to Greg down the phone and he liked it. We had a conversation about what we’d been writing individually and eventually a direction emerged. We decided on the title Folklore because it pulled all these musical ideas together as a whole. Folklore the track, is a song about how folklore came about, how it has been passed on through our human existence. Word of mouth, then words evolving and the written word. Evolving straight through to the digital realm and the internet and social media. We are still making our folklore. M – You said you were surprised a bit by the success of Big Big Train recently, would you say that’s down to the digital age and things like facebook etc.? D – Yes, it’s a fantastic Facebook group that we’ve got. People gather there because of a shared musical interest in the band but there’s much more to it than we could ever have designed. It’s a true community of BBT fans who call themselves Passengers. Big Big Train fans are a loyal bunch, they are demanding in the sense that they expect great things from us. They expect excellence and we fully aim to deliver. M – I’m a member of quite a few facebook groups and there isn’t one that’s the same as Big Big Train. One question that everyone asks, new members that come to it say, it’s the most active facebook groups that they’ve ever been in and it hardly ever talks about the band it was set up to support! D – When we’ve got something to say, we say it, when we haven’t we will still chip in now and again. People ask about stuff and we answer it and it’s great. I love the fact that there’s no longer the wall between artists and fans. One of the best things about the Kings Place shows was being able to meet with the fans after the concerts. We are more than happy to do it and we want to talk with the fans. Those shows were our time with them and their time with us. It is a two way thing and that’s important because we value the people that buy our albums and support the band. We couldn’t have done the gigs without our fans wanting to see us play our music live. We can’t make that sort of stuff up and it is a genuinely amazing thing really. M – Getting back to ‘Wild River’, have you thought about the possibility of a follow up, another solo album? D – Yes, I have thought about a follow up. I have certain songs that I’ve written that I would like to see the light of day at some point. Uncle Jack was a solo song that I offered to BBT when they asked me if I would like to submit something for the band. Not your typical BBT song but that is part of my role within the band. 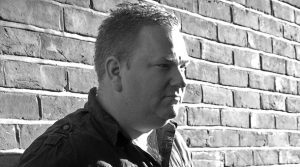 I am a singer and songwriter, I have my own style and way of doing things which is quite rightly different from Greg’s. 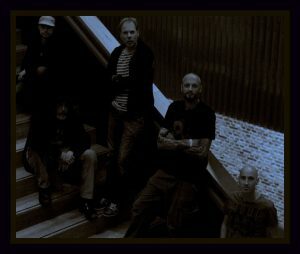 The contrast seems to have worked for us as a band and we think that it broadens our appeal. Make Some Noise, which sometimes gets some stick from some fans because it was unlike anything the band had done before or since. We were finishing off recording some of the ‘English Electric’ drum tracking sessions and we had some down time in the studio. So Greg said to me have you got a solo thing you fancy bringing in to work on? I brought Make Some Noise in. Nick D’Virgilio had recorded the drums put the drums down on it, and as we worked on it Rob Aubrey was in the control room, talking with Greg and Andy, said that it is a single. I’ve made it very clear about the origins of Make Some Noise, It was originally a solo track and the music is supposed to sound like a young band who are just kicking off and getting really excited by the power of the music that they’re playing with their mates when they were teenagers. Actually it is not as simple as it first seems.The music reflects those bands that I listened to as a teenager. At that time, we’d been thinking about doing a video because we had been a studio based band and the video would give a sense of what we might look like as a live band. The notion of making a video for something as long as Victorian Brickwork would be a costly thing to do. 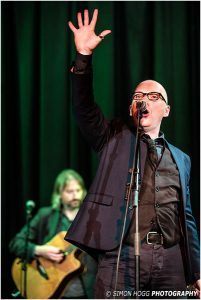 Make Some Noise is short and to the point and, rightly or wrongly, it got absorbed into Big Big Train and it became a single and a video for us. We were not trying to have a hit single in any sense as some have suggested. That would be a preposterous notion because it is far too retro in it’s sound. Some kindly soul mentioned that we were selling out but who exactly were we selling out to? There is no big money machine hyping BBT. We are independent and we do it ourselves. So the prospect of Make Some Noise storming the charts was so off radar that it was never even considered. M – It’s not Big Big Train but it is? D – Yes, it is not typically Big Big Train but it is. It nods it’s head to bands like Queen, Pilot, Be Bop Deluxe, those classic rock singles. Big Big Train is a broad church, so it seems, I’m not saying we can do anything, don’t go expecting a rampant disco album anytime soon. If it suits the song subject matter and it works, we do it. We serve the music and go where it takes us. But what would a David Longdon solo album be like? I really don’t know. D- Exactly. So do I stockpile material for a solo album? 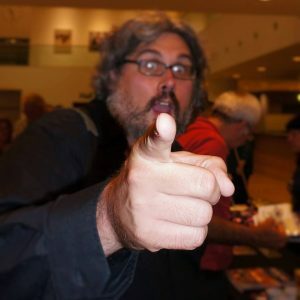 If I don’t do another solo album for five years or so, will I still be interested in the material I had written five years ago? So, the answer is yes, I will probably do another solo album at some point. But I’ll cross that bridge when I come to it. For the time being Big Big Train is all encompassing. There are only twenty four hours in a day. if you want to hear David Longdon you’re going to find me with Big Big Train. 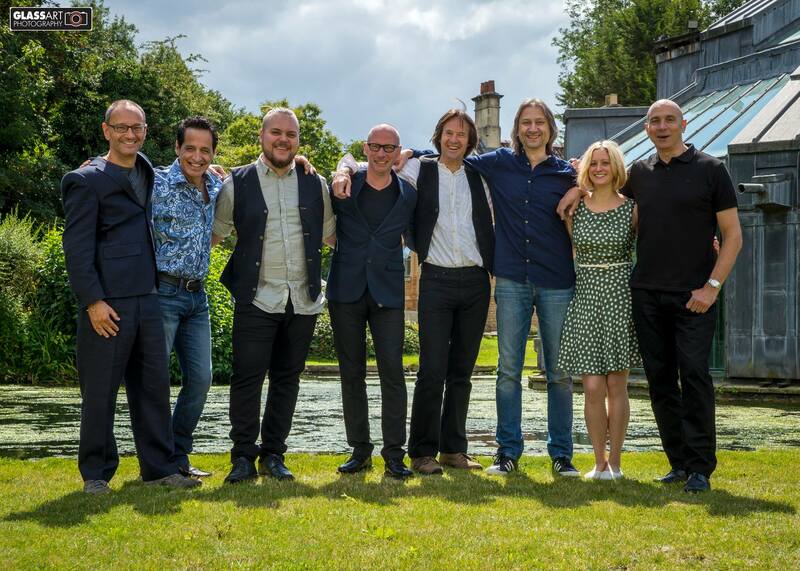 M – How did you get involved with the Martin Orford album? 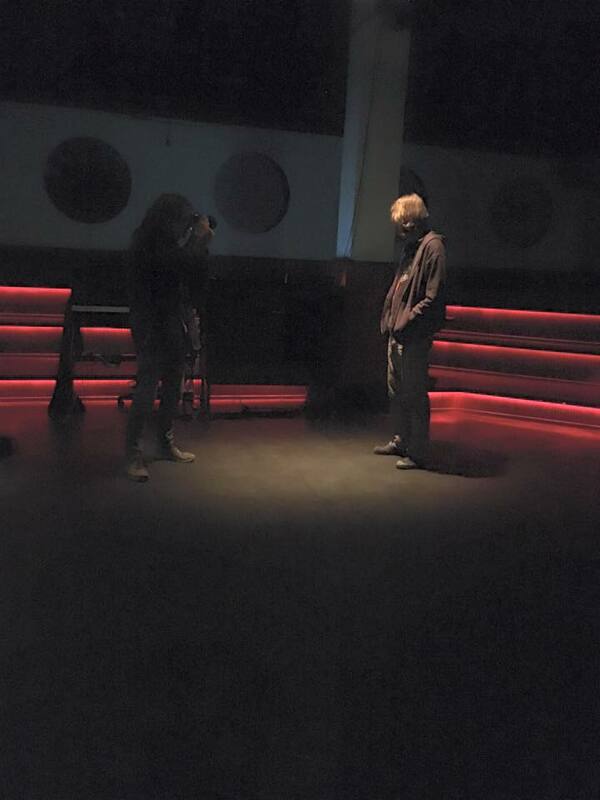 D – Martin was bowing out from IQ and his progressive rock career. He was very cut up about the way that the internet had impacted on sales. He was also getting nasty emails from people when he approached those that had uploaded his music and he just couldn’t see a future in continuing. That’s what his song Endgame is about. Martin was recording his swan song and about to hang up his cape. I was reading an article about Martin and he has a very sharp sense of humour and he’s a very interesting guy. I called Giant Electric Pea one afternoon and left a message, telling them who I was and a little bit about what I’d done. I mentioned the Genesis story and at that point he picked up the phone. We started speaking. At the end of the call he said “I’ll tell you what, if you want to do it, there are a couple of tracks that I’d like you to have a go at singing. If you can sing them better than him, they’re going on the album!”. I drove down to Southampton one morning to Aubitt studios and Rob Aubrey was the engineer. That’s how we all met. After I’d gone, Rob was on the phone to Greg saying that I think I’ve got a singer that could be right up your street. That was the beginning of my involvement with Rob, Greg and Andy. M –And also thanks to you for having the gonads to pick the phone up and leave a message..
D – At that time I was teaching music technology and I was in that cycle of being a parent, getting up at 5 a.m. nappy changing and I thought right, if I’m going to do this music thing, I need to do it on a bigger scale than I have done it previously. 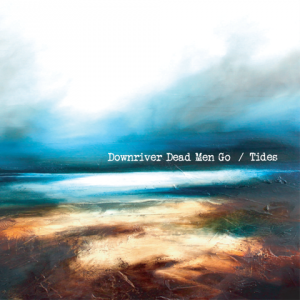 I had released ‘Wild River’ to mass indifference. To be honest, it was dead in the water. Joining BBT was a game changer for everyone involved with it. M – You hinted on the Genesis thing, would you mind expanding on that a bit more? Was that an audition set up because they wanted a new singer and they advertised or was that through connections? D – I have a friend called Gary Bromham, who, at that time, was in a band called The Big Blue and they were signed to EMI. We’d met when I was signed to Rondor Music Publishing and we shared the same management company. Gary was working at The Farm, where Genesis record, in Surrey. He was also working with Nick Davis who was Genesis’ producer at that time. Nick told Gary that now Phil had said he was off, they had decided to look for another singer. Gary, bless him, thought about me and said to Nick that he had a recording of someone who he thought would be good for that. Gary called me and said “Dave, I hope you don’t mind but, I think I might have got you an audition with Genesis!” I thought he was winding me up because he has a great sense of humour but, he told me what had happened and how Nick had taken my tape to Tony Banks who liked it. There was a song on there of mine called Hieroglyphics of Love, it’s been a very lucky song for me, it got me a publishing deal and the audition with Genesis. Tony waited for Mike (Rutherford) to get back from touring with The Mechanics so he could play it to him. Mike got back off tour and liked it so the next thing is to get me down for an audition and that got the ball rolling. I went down and did the audition, they had these mixes called ‘Top Of The Pops’ mixes because there was a musicians union rule that states that the music had to be performed live so, for example, if you had a track like No Son Of Mine, you’d have the track from the album and the producers would prepare these mixes by taking the lead vocalists voice off. Then, If they did it on Top Of The Pops, Phil could add a live vocal and that would satisfy the Union’s live element of the performance. They had a few Top Of The Pops mixes of their hits and I sang Mama, No Son of Mine, Land Of Confusion, Tonight, Tonight, Tonight, Throwing It All Away, I Can’t Dance and I did a live version of Turn It On Again, they didn’t have a Top Of The Pops track for that. They asked me if there was anything I wanted to sing and I said I’d like to do In The Cage from ‘The Lamb Lies Down On Broadway’. Tony and Mike were very friendly and spent a lot of time just talking to me because, unlike Ray Wilson who had put records and video’s out with Stiltskin, they knew very little about me. They had to get that information out of me. The next time I was down they asked me to come and jam with them. They were playing excerpts of material that would end up on ‘Calling All Stations’ and I just had to jam along to it. Then they gave me a few songs to work on and write with them. I gave them a few ideas back. 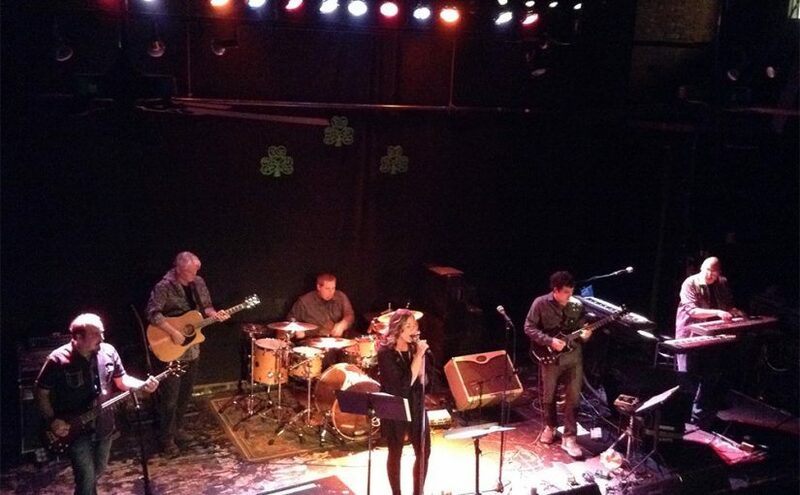 I also had to perform a live set with my band so they could see me perform in a live situation. I never met Ray Wilson at all through the entire process. We’ve never corresponded with each other either. It was rumoured that they may go with a two singer approach, like Mike And The Mechanics but the fact that they had not introduced Ray and I to each other got my spider-senses tingling. As we know, they eventually decided to go with Ray and why not? It’s a long time ago now and I’ve been a bit busy since then (said with a chuckle). As I’ve said before, Big Big Train is the Mothership and my musical home. M – Just one final question, where do you see the future for you and the band. Cast your eye over a crystal ball, where do you think you will be in ten years time? D – There’s lots of variables that can happen between now and then. I’m 50 now so I’ll be 60 in ten years time, I hope I’ll be in good health and be able to sing in the way that I do at the moment, I hope my voice and my health stands the test of time. Big Big Train is its own muse, it is its own thing. It’s strange, when a new album starts coming together, we are write songs and build tracks and you wonder where it is all going. 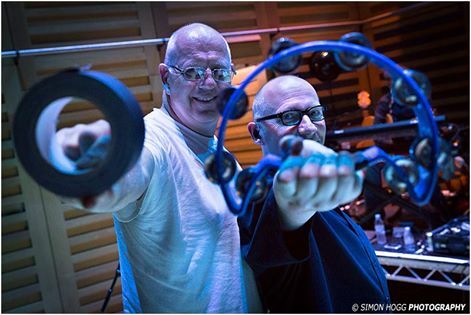 Greg will add something, Danny will send something in and Dave Gregory will provide a guitar part and suddenly, bang!, you go, yes, it’s Big Big Train! The good thing about the band is we are not frightened to throw in some unusual elements. D- Definitely, we loved the live shows, they were amazing events. It was such a fantastic experience for all of us. We want to keep the shows special, we want them to be cherished as moments that people will look back on and think yes, that was something special! M – I think I speak for the majority, if not all of, the people when I say it wasn’t just a gig. It was part of a whole weekend, people took time out to not just go and see the band live, they were coming from all over the world, it was the build up to it and the gig was just the highlight. It was more of a complete experience than just a show. D – On the Saturday afternoon I was down in the foyer talking to the guys on the merch table. There was one man and his son who came down the escalator and saw me. They came over to talk to me and they’d come from Bolivia! He said they’d walked, they’d been on a bus and a train. They’d also been on a plane to get to these shows in London and I’m so pleased that I met them. It was just the three of us talking in the foyer and I was thinking that to come all this way from Bolivia, it’s just incredible. M – I don’t think I can top that anecdote! It was quite an experience, speaking for myself, I joined the ‘Train’ just after ‘The Underfall Yard’ and it didn’t resonate with me when I first heard it. I hate to say it but I did walk away from Big Big Train but, when I heard the ‘English Electric’ albums I thought they were absolutely stunning and went back to ‘The Underfall Yard’ and then it made sense! 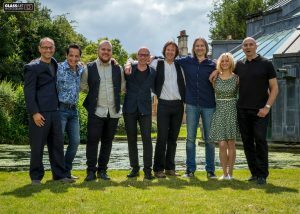 Big Big Train has been an amazing experience for all of us involved and it’s given us a lot of pleasure. It is a fantastic vehicle to be working within. I like the fact that you say you came back to ‘The Underfall Yard’ having discovered something later. I guess, when we put Folklore out there may be someone like your good self who heard Hedgerow and thought it was insane, something may hit them and they may go back and discover Hedgerow again and even ‘The Underfall Yard’. You’ve got people listening to the early albums as well, you have ‘Gathering Speed’ or ‘The Difference Machine’, which is great. It’s all good. M – For me, the song that nailed my colours to Big Big Train’s mast was Curator of Butterflies. Mike Morton of The Gift and I came to the Saturday performance and were on the front row. It’s been a song that we both find quite emotional and we just turned to each other and were in tears at the beauty of it all. The same with Victorian Brickwork, the thing that gets me about that track now is the brass at the end, I can’t understand now why I didn’t like it at first. The brass at the end just makes the hairs on the back of your neck stand up. D – We’ve been listening to 5.1 mixes from ‘Stone & Steel and we’ve got Victorian Brickwork on there from the London shows. In Blu-Ray high definition with the band kicking and the brass going, it hits home hard. It’s a massive noise and it can be quite overwhelming. 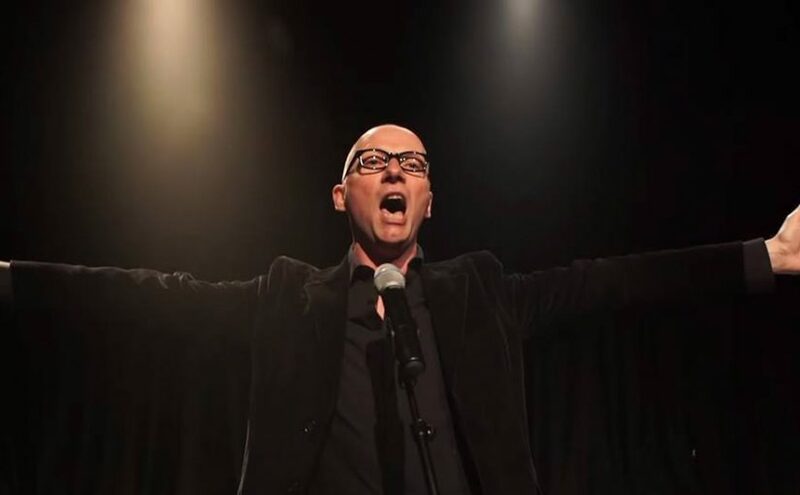 When I first started with Big Big Train I received these lyrics which in addition to poetic moments, consisted of technical, almost industrial, language. I wondered how I was going to approach singing them. I decided to split the lyrics into lead vocal lines and backing vocal parts. Because if I split them up, it would give me more time to deliver and they could overlap each other. I would deliver the lead vocal lines over the gorgeous music beneath and that was the key to it. I also sing them like my life depends on it – like it is the most important thing in the world. It’s not only the words, it is very much the emotional delivery of them. M – I think you’re right, what a lot of people picked up from the Kings Place performances was that you were not just singing the words, you were almost living them. D – Yes, I am completely in the moment. It’s been an amazing journey. I’d like to thank David for taking the time to talk to me. Coming next will be my review of Big Big train’s ‘Folklore’ album and then my second interview with David which we conducted after the release of ‘Folkore’ and the release part at Real World Studios. 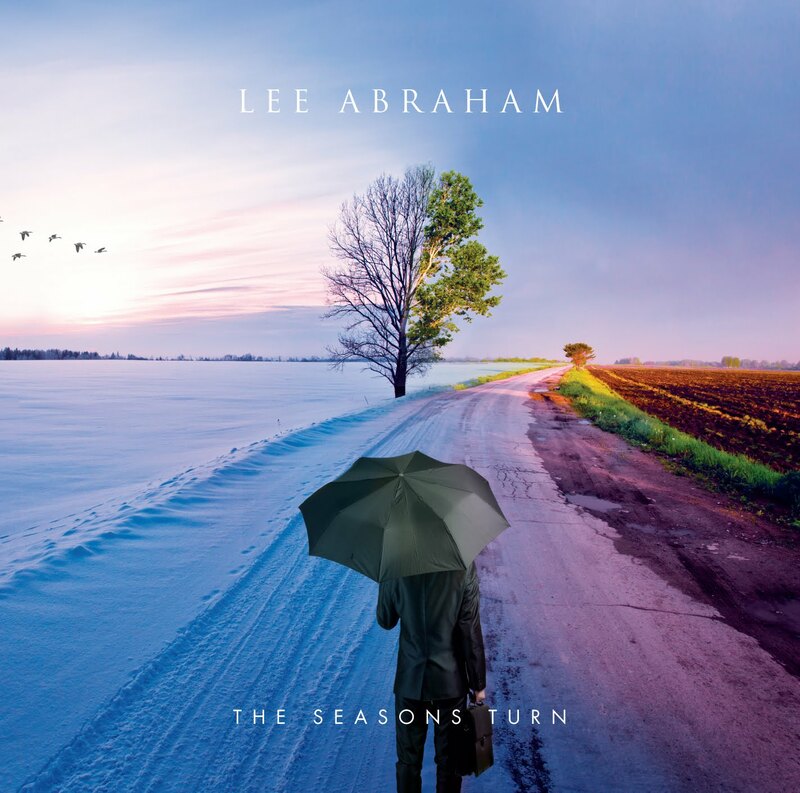 The Seasons Turn, the latest impressive album by Lee Abraham, has the theme of the passing of time interweaved through the songs. These lines from the conclusion of the opening 24 minute epic title track led me to thinking about my own personal journey over the last few years following Lee Abraham’s music. It does not seem that long ago when I distinctly recall first hearing Lee’s music on the now sadly defunct ‘Rogues Gallery’ Podcast with Frans Keylard on The Dividing Line Broadcast Network in about 2009. Frans played the whole of the new album at that time ‘Black and White’ by the recently departed bass player with Galahad, a band I had heard of but had not yet explored. 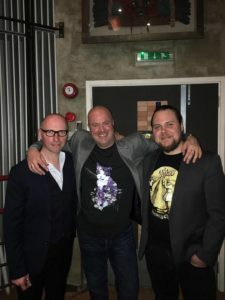 I was absolutely blown away by the excellence of that album, particularly the closing suite of songs – Black (with ex-Big Big Train vocalist Sean Filkins on vocals) and White (with Steve Thorne on vocals.) I still think that music is some of the finest to come out of the resurgence of Progressive rock music since the turn of the new century, with the sparkling and emotional song White simply being one of my most favourite Prog rock tracks ever. It was remarkable to me that I had never heard of this artist and yet here he was releasing a stunningly good album. ‘Black and White’ really touched me deeply. I remember having one of those ‘perfect moments’ with this album we sometimes get in life associated with a piece of music. It was later in 2010 and I had just spent a fantastic weekend with a group of great friends, whom all shared an interest in music. We had travelled to Liverpool to visit The Beatles sites around the city and have a few drinks at The Cavern Club… and elsewhere! We shared in great camaraderie and then all went our separate ways. I guess ‘you just had to be there’ as it’s hard to explain that personal moment, but that’s what Lee Abraham’s music meant to me at that specific ‘perfect moment’, and it’s a much cherished memory which comes back to me every time I hear that brilliant song. I was fortunate enough to see the Lee Abraham Band, including Sean Filkins on vocals, perform most of that album at the one-off ‘Winter’s End Festival’ in Stroud in 2010 – he was one of the main reasons I attended that event. This may well be the only ever live performance of Lee’s solo progressive rock material so far, and Lee and his band certainly put on an accomplished show. Sadly, the economics of such shows and fitting such activities in to ‘real life’ make such performances difficult to arrange and sustain. 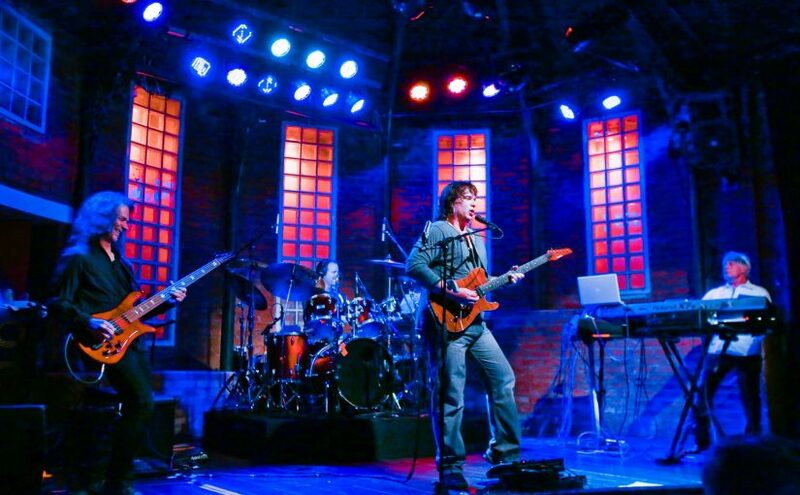 It is to be hoped that as Lee Abraham’s profile continues to rise with the continuing quality of his albums this may make it easier to countenance a return to the stage for the Lee Abraham Band in future, which Lee recently hinted at in a recent interview may be a possibility. Lee Abraham next came to my notice on ‘War and Peace and other Short stories’, the 2011 album by Sean Filkins. Yet again this was a real surprise to me as I had yet to really delve in to the world of Big Big Train at that point so Sean was not known to me. Once again Frans Keylard’s Rogue’s Gallery podcast can be thanked for introducing that previously unknown album and artist to me. (Prior to ‘Progzilla Radio’ these days, finding new Prog was reliant on such podcasts, including The Amazing Wilf’s ‘The European Perspective’ by ‘Prog Guru’, David Elliott). 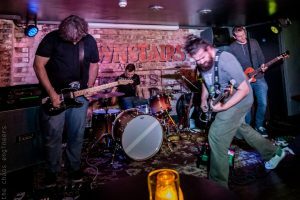 Sean Filkins’ debut release was an utterly outstanding album of consummate musical skill and epic Progresssive rock song writing, which Lee Abraham produced excellently and contributed to musically. This again is another very special album for me personally, and it’s sonic brilliance owes much to Lee’s skills as a producer in the studio. It is to be hoped that Sean will one day feel able to follow up that modern Prog masterpiece, maybe with Lee’s help again? 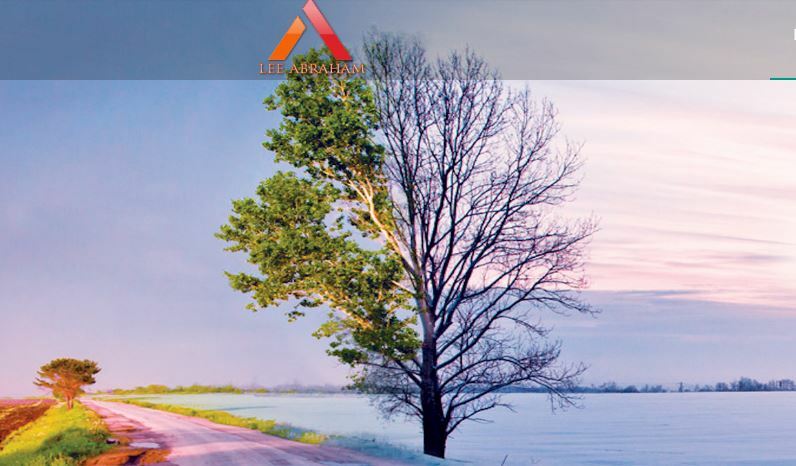 Who knows what will happen as the seasons turn and time passes? 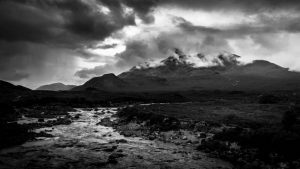 Life for me had also changed, including the loss of a parent and all that entails emotionally as one adapts to loss and a growing realisation that time stands still for no-one. Excellent though it is as an album, ‘Distant Days’ did not have quite the same impact for me as ‘Black and White’. Sometimes such preferences are simply down to where we are personally and emotionally when we hear an album, and how attuned we may be to the message or feel the artist is trying to convey. However, it is interesting to note that Lee Abraham in an interview recently rated ‘Black and White’ alongside his new album as his favourites, which may indicate that he recognizes there was something special about that particular album. The title track on Lee Abraham‘s new release, The Seasons Turn, continues in the vein of the epic grandeur of Black and White , opening with a delicate piano motif from Rob Arnold leading to rising keyboards and then the rest of the band powerfully joining in like some sort of Prog overture before returning to the piano. The mellotron like keyboards drench the piece in atmosphere again before the band launch in to the heart of the song, driven along by Gerald Mulligan’s skilful drumming. 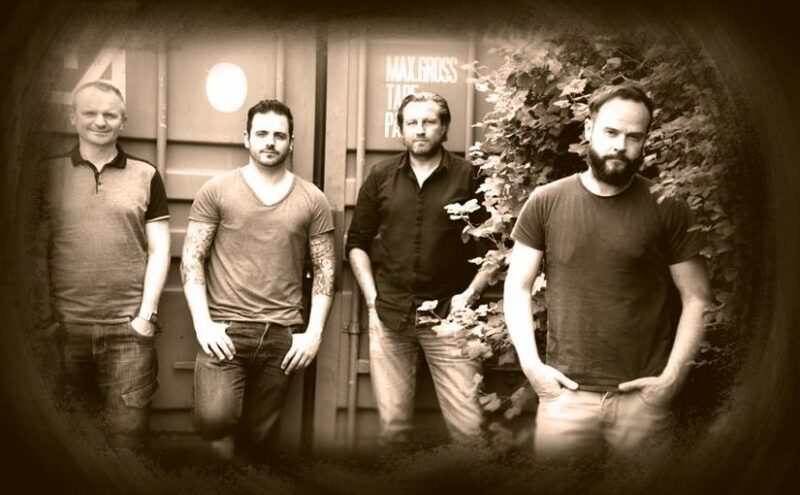 Mulligan has been a stalwart band member with Lee Abraham for years, alongside the other talented core band members Christopher Harrison (guitars), Alistair Begg (Bass) and the aforementioned Rob Arnold, assembled for the previous album ‘Distant Days’. 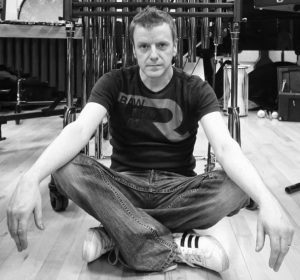 They drive this epic song along with a balance of power and beautiful melody, but the master stroke by Lee Abraham for this epic piece was in asking Marc Atkinson (Riversea / ex-Nine Stones Close) to put his fantastic voice on this piece. Atkinson has probably one of the finest and most engaging voices in recent Progressive rock, as evidenced on the debut Riversea album ‘Out of an Ancient World’ (2012) and the two Nine Stones Close albuma upon which he sang, especially the classic ‘Traces’ (2010). His voice perfectly evokes the contrasting senses of wistful elegy and heroic defiance. Martin Orford (ex-IQ & Jadis), a mentor figure for Lee Abraham from his early days, comes out of his musical retirement briefly to add a lovely but all too short flute interlude in the middle section. This is a piece marked by soaring and stirring stellar guitar solos (presumably by Simon Nixon and Christopher Harrison), particularly in the closing section. This is quite an opening piece, which Lee stated did not start out as an epic piece but evolved over time. Lee Abraham has admitted that lyric writing is ‘the hardest bit’ and it perhaps shows in this lengthy piece, which may have needed rather more substance lyrically in my view. Nevertheless, that quibble is easy to forgive as you are seduced by the excellent, stirring music and overall epic sweep of this piece. 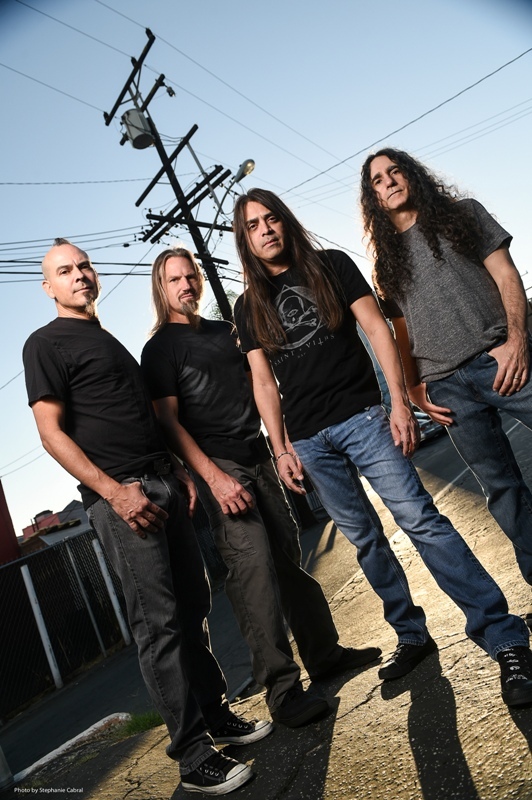 The shortest and lightest song on the album, Say Your Name Aloud, surprisingly finds Mark Colton of Prog Rock band Credo very engagingly singing what can only be described as a pop song, showing his versatility as a vocalist. It’s a nice contrast to the more portentous songs on the album. Music is subjective and is filtered through all our own feelings and circumstances. Do I like this as much as ‘Black and White’ ? – probably not, but that may have more to do with my internal feelings rather than musical quality. ‘The Seasons Turn’ is undoubtedly another very fine album for Lee Abraham. We all read what we will into music, but it takes evocative and beautifully played music upon which to cast our thoughts and feelings. Lee’s music has provided some meaningful moments for me in recent years, and this excellent album continues that journey. Thanks. So let’s get this out of the way, this is not Mike Oldfield! What we have here is the very talented multi-instrumentalist, producer and composer Robert Reed, (of Magenta fame) with his follow up to the excellent ‘Sanctuary’ from 2014, on Tigermoth Records. 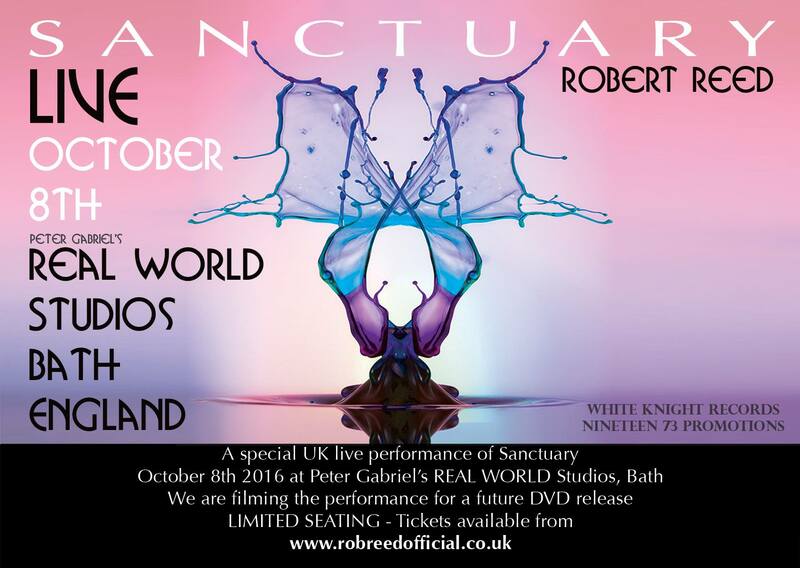 Produced, mixed and engineered by Rob, and once again joined by the legendary original “Tubular Bells” production team of Tom Newman (who also plays a mean Bohdran) and Simon Heyworth, who have once again made important contributions to the sound of the album. 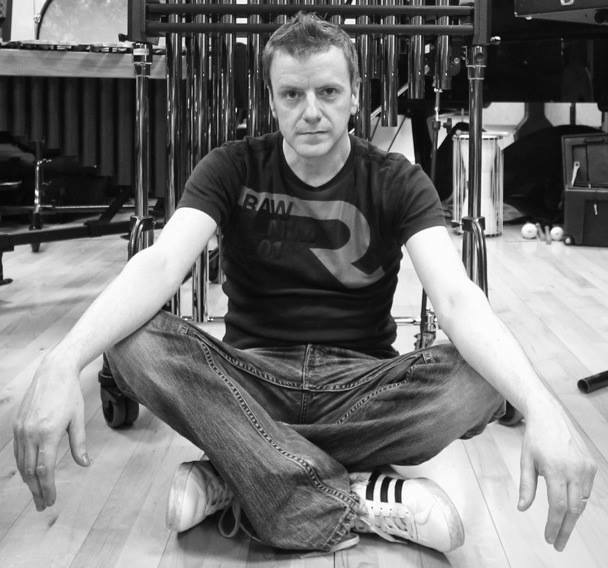 Rob was inspired to become a musician and composer at the age of seven after discovering Mike Oldfield‘s ‘Tubular Bells’. So inspired was he by the album, that he learned to play not just one, but all the instruments featured on the album. 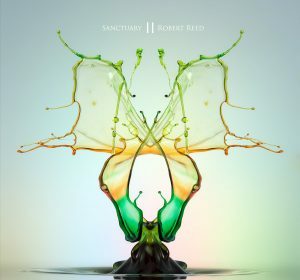 ‘Sanctuary II’ is a further opportunity to utilise his abilities as a multi-instrumentalist and create another album in this vein, available in various formats this is only a review of the main album. So, how to review a follow up of the successful homage to an inspirational musician without mentioning him, let’s see….. The weather may be dubious at the moment and varies in light, shade and temperature, there is promise of sunnier climes and thoughts of holidays as PART I drifts into the mind. Birds swoop across the sky as you look out across the sea the sun breaks the clouds, then you are transported to to some far flung land where natives of that country go about their daily tasks singing in harmonious tongue. Fishing nets are cleaned and hung out to dry in the warmth of the midday sun. You lay back listening to the music your body warming like the nets, shaded by the nearby palms, eyes closed as the guitar drifts fluidly through your ears, caressing your senses. The Synergy harmony changes to a more European flavour and you are swept away once more to a clearing in the English woods. The recorders of Les Penning and the twang of the banjo sparkle as the temperature of Simon Phillips’ percussion rises, guitars speeding round the trees, echoing keyboards and all dance in pagan celebration. Flowers are scattered in wild abandon as the frenzy reaches it’s peak and the harmonising gently brings it down again only to burst in quick flourishes, the dancers flushed with expounded energy and happiness, twirl and gyrate. The solo angelic voice of siren Angharad Brinn leads to muted guitars and a respite from the festivities. Waterfalls of tinkling keys ripple along a brook which runs through the woods and the native tongues stir the guitar again as you run without care through the trees. A gentle summer breeze and trailing foliage brush your skin as you trip through the greenery. The marimba and vocals join as flowers sway and turn their open faces to the sun’s rays, catching the light. You burst into the clearing again and fall to rest along with everyone else as the first half draws to a celebratory close. A gentle guitar and timpani refrain float in the introduction to PART II, the small sail boat that carries you across the lake buffets against the rippling water as the breeze of guitars and accompaniment of numerous instruments fill the sails and it picks up speed. The lure of Spanish style guitar and castanets draw you back to the isle in the centre of the watery expanse but as you near it is replaced with the warbling recorders and others as they raise a dance again. Approaching the shore you can hear as all join in traditional steps, your fingers tapping on the boat side, ’tis a merry tune. The boat hits sand and you leap out to secure the mooring. Treading along the shore feet sinking in soft warm sand, you make your way toward the music as it wafts through the lush vegetation the siren briefly calling you before the instruments take up the rejoicing given direction by a synthesised voice. The terrain rises gently as you follow the trail, winding it’s way upward as the music fades in the density of the plant life. Gentle keys and guitars plucked to guide you gently on your way and the voices seem momentarily distant now in the lush vegetation. You forge your path with the guitars determined to see what lies ahead, attain the rise and can see the clearing nestled among the trees below, the singers move from side to side in rhythmic motion and the glockenspiel signals your descent. Throbbing bass, strummed strings and air breathed through drilled wooden pipes, guide your feet over the uneven path and running keys of water skip over stones and through crevices as it flows in the stream falling alongside. The dipping track quickens your step as the music keeps pace. Your pulse races to the beat and you burst through into the clearing once more, elated and surrounded by smiling faces, all is well with the World. Someone once asked what ‘Sanctuary’ sounded like and I advised along the lines of, it’s like Mike Oldfield but takes it further making it even more cheerful and uplifting. ‘II’ takes us on a magical, musical mystery tour and lifts the spirits higher. I have only covered the main album, but if you can, buy the 3 disc deluxe digipak version, as not only do you get an extras disc packed with other wonderful tunes edits and remixes which did not make the main disc, but the whole album on DVD in 5.1 surround sound and 24/96 stereo mix (don’t ask), along with promo videos. 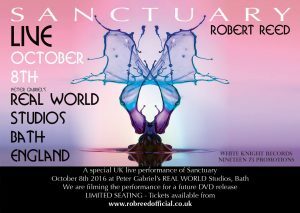 There will also be a chance to to see Rob record a performance of the album ‘Live’ at Real World Studios later in the year with a ten piece orchestra, if you are lucky enough to purchase a ‘golden’ ticket and be one of the privileged audience. This may not be Mike Oldfield, but he may wish it was……..
A Turneresque cover painting gives vague hint to the type of music and the details on the cover give minimum information. A quick bit of research and these Dutch lads describe their music as deeper, mesmerising, atmospheric and melancholy. If you know of David Lynch, director of ‘Blue Velvet’, ‘Mulholland Drive’ and ‘Twin Peaks’, this album could have sound tracked any of these. A dark evening, you enter the foyer of a private club greeted by a smiling girl all curls, curves and red lip gloss, she parts red velvet curtains and leads you into a dimly lit room furnished in deep red velour seating with tables. Smoke from cigars and slim cigarette holders hangs in the air. Whispered conversations, furtive glances across the hazy room and a small stage on which a band appears, the instrumental first track The Dying of the Light plays muted keys with the sound of crows and other birds echoing round the room. The conversations die and all eyes focus momentarily on the stage as you take your seat in a booth. Dressed in a dinner jacket with open necked white shirt, the lead singer pulls up a stool to a small dim spotlight at the front of the stage as the band plug in. The singer rests on the edge of the stool with his guitar and with one foot on the floor for balance he grasps the vintage Shure microphone like a lover and pulls it towards his lips until they brush lightly together as the first track fades. Acoustic guitar strums, and he begins to pour his heart out in a languid, sleepy voice. A well groomed woman gives a large man sat next to her at the table a determined look, shakes her head negatively and rises, pulling her hand from the sweaty grasp of his chubby, gold sovereign laden digits. Her silk dress slides between the tables as the music rises she’s Walking Away, and won’t be returning to him. The vocals and instruments echoing as she fades into the smoke and away through the curtains, into the foyer, where Miss Red Lip Gloss sits on a stool, distractedly filing her crimson co-ordinated nails . She doesn’t notice the woman leave as she’s in a world of her own from which she wished she wouldn’t have to Wake Up. Drums are brushed and electric guitar flows with keyboards in sombre reflection as the third song drifts in to her consciousness with haunting brass sounds. This isn’t the direction in which she had seen her life going but at least she was safe here for now as no one knew her real identity and had food and lodging. Back at the table the large man waves a weighty hand to a waitress. She teeters toward him on slim black stilettos, in short-skirted uniform, with a small pillbox hat held on her tightly fastened peroxide hair, a single spiral hangs to one side. She deposits a bottle of champagne on the ring stained table top and he waves her away without a glance. He draws on a large cigar, exhaling the cloud toward the stage as he ponders the,beautiful intro and melancholy lyrics of the fourth song reflecting on his life, things would Never Change. There was a time he had loved the girl who had just left and he’d not been a bad man, but money, avarice and jealousy were now his only companions. She’d begged him to take her away from it all and they could live like the carefree young lovers they had once been but he craved other things and she had become merely a distraction. The singer steps away from the microphone to briefly slake his burning throat with cool beer between strummed chords, washing away the smoke as the band play an instrumental piece. The gangster man feels a momentary twinge of grief as the memories and the Ghost of Caitlin are all he now has left of the relationship and the music swirls and eddies. Then regret is gone in the fleeting twinkle of a blonde’s eye as the waitress now catches his sight-line, maybe she’ll do for tonight. Just another desperate wanting to improve her situation lured easily by a fur coat and a few sparkly gems, which he can easily afford. No commitment, though he’ll promise the world and take what he wants, then have his driver discard her at the roadside the following morning amid the tumble-weed, futilely hoping it will eradicate the memory of his lost love. Returning to the microphone and surveying the punters robed in fetid air, the band observe the roles played out, it’s just another night in the joint. As the singer stretches out the stiffness in his neck the band behind him bring in the title track Tides. The bass throbs, as it has throughout, a dulled pulsating heart pumping vibrations into the room, the drums the beating life. The subdued rhythms of the guitars with drawn out chords mourn to the lamenting keys and soundscapes created. The singer stares at the rotund man in the booth with red veined jowls and as the lyrics come to him he starts to sing again, a cautionary tale. Following on the sweetly sombre instrumental Undertow mimics the roles in the room as clients indicate more drinks and nibbles, whilst waitresses scurry to accommodate, emptying ashtrays unobtrusively, hoping for generous tips to bolster their meagre wages. Business is good tonight. Ushered in by the choral accompaniment at the end of the track, a man in a wool suit and slim black tie parts the foyer curtains, two uniformed policemen accompany him. He steps forward with them, the broad brimmed trilby on his head pointing the way as they move toward the sovereign fingered gentleman. Everyone watches cautiously as they pass by, turning faces to shadow. The band continue with a dark, atmospheric backing track to the performance unfolding as the words echo The Stone In My Heart to the retreating officers, as they lead the handcuffed sweating man. As they negotiate his sizeable bulk between the tables of the booths watched by their shady occupants, there but for the grace of…. She may not think so but the blonde waitress has escaped a humiliating experience and will have to wait for her real Prince Charming to save her from the monotony. Her position however has not gone unnoticed by another. She has a delicate frail naïvety about her that begs to be taken away from this tainted existence and the singer smiles at the waitress as she passes. Her baby blue eyes widen and she blushes as she moves to task, glancing over as she flits between tables. Carpe Diem, seize the day, lift her misery. Nothing gained nothing lost, the singer turns to the band as the purported final track of the evening fades out on beautiful keys and looping chords and they nod in sage agreement. A few light chords introduce bonus track, River, to a complete contrast as the band raise the tempo and the singer grins like a schoolboy at his fancy. A rocking drum beat picks up the bass and Coral like steel guitar cuts in western style with slide and jaunty organ. He holds her gaze as he plays and sings a promise of better things. The waitress sways to the up tempo as he moves off the stage across the dance-floor toward her in time to the driving keyboard and announcing his intentions, she smiles agreement, nods and he returns to the stage. Guitar swaggering in his hands with pause for effect the band slide out on a single distorted note and people make their way to the exit. With airs of the Editors and Nosound for reference, the band may not be to everyone’s taste, but it has seeped into my brain and become one of my favourite albums of the year so far. If like me you are partial to a bout of emotionally dark, slow rock when the fancy takes, then I urge you to buy this. They could be an interesting prospect live.